Mt. Timpanogos is one of the highest peaks in Utah. It is also a place where the wildflowers bloom like no other in the Summer months. 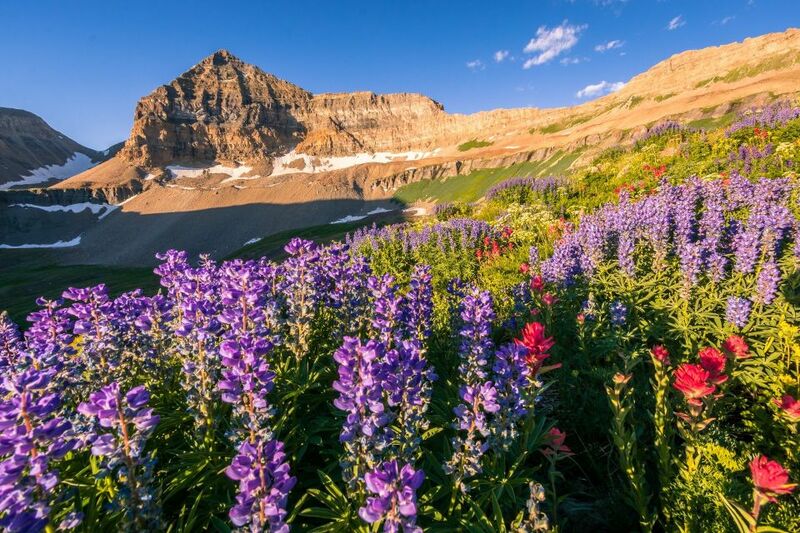 From beautiful purple lupine flowers to the brilliant red indian paintbrush, the trail and basin below the peak comes alive with colorful life. Creating a great landscape photograph here isn’t the toughest of things one can do sometimes.